D-Link’s Wireless N 150 ADSL2+ Modem Router (DSL-2680) is the ideal Internet gateway for ADSL subscribers with basic Internet requirements. The DSL-2680 connects directly into the phone line to provide up to 24 Mbps download speed. The embedded Wireless N 150 technology with up to 150 Mbps makes it suitable for light Internet usage like browsing, emailing, banking and shopping. 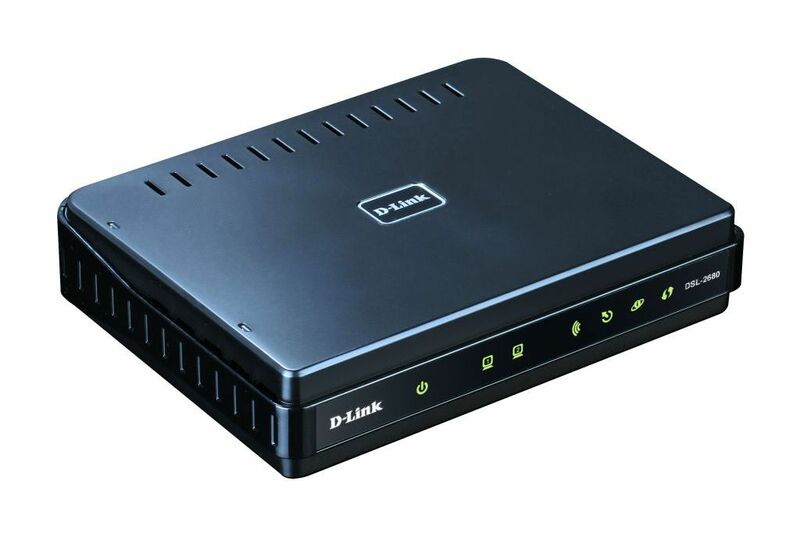 D-Link’s DSL-2680 provides wireless speeds that are many times faster than 802.11g. It supports WPA/WPA2 and WEP data encryption methods for flexible user access security, and is backward compatible with existing 802.11b and 802.11g wireless equipment, ensuring compatibility with a wide range of wireless devices. The DSL-2680’s security features prevent unauthorized access to the home network from wireless devices or from the Internet. This modem router provides firewall security, such as Stateful Packet Inspection (SPI) and hacker attack logging. SPI inspects the content of incoming packets before they are allowed in, while hacker logging helps to protect your network against Denial of Service (DoS) attacks. For Quality of Service (QoS), the router supports priority queues to enable a group of home users to experience the benefit of a smooth network connection without concern of traffic congestion.